Cambridge, UK, 5 March 2018. Demonstrating the growth of electric vehicles (EVs) within business fleets, Spark EV(http://www.spark-technology.com/) today announced that Essex-based health and care organisation Provide(https://www.provide.org.uk/) has adopted its artificial intelligence-based journey prediction solution. A staff-owned community interest company, Provide delivers health and care services (such as community nursing, physiotherapy and podiatry) to patients across Essex, outer London and East Anglia, covering a population of 1.9 million people. Many of its members of staff are mobile, visiting patients in their own homes, community clinics and community hospitals. It is rolling out EVs across its fleet, with Spark’s simple to install technology allowing vehicles to complete more journeys between charges, remove range anxiety and enable greater fleet utilisation, with up to 20% more journeys completed between charges. Spark works by collecting live driver, vehicle and other data sources, such as the weather and congestion, via an in-car sensor and then using its cloud-based machine learning algorithms to provide more accurate journey predictions for electric vehicles. Fleet managers and drivers simply enter their proposed journey into Spark’s powerful smartphone app and get advice on whether they will be able to complete it – based on live data, previous trips and charge point locations. This delivers reassurance to fleet managers and drivers that they will be able to schedule and complete jobs without running out of charge, removing range anxiety while increasing the amount of potential vehicle journeys by an additional 2.8 per day. 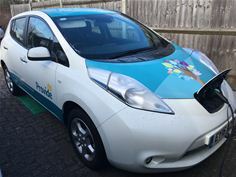 As part of its EV rollout Provide is installing charge points at five of its sites and is planning to expand its fleet of Nissan Leaf EVs. As Spark continually improves its journey predictions based on previous trips, Provide will be able to use these learnings to optimise its EV usage and increase confidence within its workforce. Delivered through a monthly subscription model, Spark easily integrates with existing fleet management/scheduling systems through its open API, or can be used as a standalone solution for smaller fleets and can be installed with all current EVs. Driven by air quality concerns, global legislation is accelerating the adoption of electric vehicles (EVs). However, fleet operators face multiple challenges with EVs, including range anxiety, ensuring high utilisation rates and optimising productivity. Built specifically for fleets, Spark EV Technology (http://www.spark-technology.com/) helps operators overcome these issues. An artificial intelligence-powered journey prediction and route planning solution, it uses machine learning to deliver more accurate range predictions, enabling operators to increase journeys by 20%, removing range anxiety and maximising driver and vehicle time. Research carried out by the University of Cambridge’s Judge Business School estimates that the global market for EV prediction solutions will rise to at least £501m by 2022. Developed in Cambridge, UK, Spark combines the company’s own research with work from the University of Essex. Available now, it is already receiving strong interest across Scandinavia. A regional finalist in the Shell Springboard competition and an alumni member of Accelerate Cambridge, Spark EV Technology has received investment from New Anglia Capital and the Low Carbon Innovation Fund. Rehab 4 Addiction offers a free helpline dedicated to helping people suffering from drug, alcohol and mental health issues in Essex. Rehab 4 Addiction was founded in 2011 by people who overcame addiction themselves. You can contact Rehab 4 Addiction on 0800 140 4690.